Galvanize Boulder is an urban campus that offers unique event space. From intimate gatherings to offsite meetings to full-scale conferences, Galvanize Boulder offers innovative and inspiring meeting space, an events production team, and access to their tech ecosystem for content and promotion. Galvanize Boulder is located in the heart of downtown Boulder’s renowned tech scene. 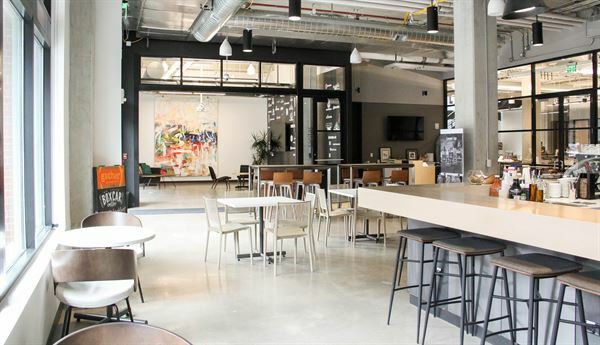 The Galvanize Boulder event space is a modern, urban feel with large, open rooms and concrete floors. Our Walnut Street campus has a number of event areas, from a 200-person capacity Atrium to smaller 4-person conference rooms. We offer on-site catering through our cafe with a menu that is updated seasonally.